Voice as a form of secure ID is becoming more widespread, with Barclays announcing it is using the technology for telephone banking customers. All Barclays' personal telephone banking customers are eligible to use the system, although they can opt out. The technology recognises a customer's unique formation of words, cancelling the need for security questions or passwords. A number of banks are at various stages of introducing similar technology. First Direct has been signing up some customers to the system since March. A month earlier, HSBC said it was introducing voice and touch ID in the summer. Challenger institution Atom Bank allows its customers to log on via a face recognition system. Barclays said that a customer's "voice print" was made up of more than 100 characteristics based on the physical configuration of the speaker's mouth and throat. The system captures data on this "voice print" during phone calls, and once this is complete any further calls can be matched against this information. It can still identify customers when their voice is changed owing to a cold or sore throat, or with age. Barclays says the system also recognises someone whose voice changes during gender reassignment. 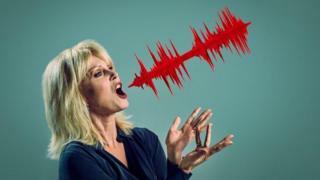 Anyone mimicking a voice, or family members who sound the same, cannot cheat the system, it says. The bank has been testing the technology with a limited number of customers since 2013, during which some known fraudsters were thwarted. Steven Cooper, chief executive personal banking at Barclays, said: "We can all relate to the frustration of forgetting a password at the crucial moment. Voice security can cut out that part of the call completely and, unlike a password, each person's voice is as unique as a fingerprint." James Daley, founder of consumer website Fairer Finance, said anything that sped up the security process would be welcomed by customers. "Banks will need to be ready to reassure people that this new technology is genuinely secure. New security processes can make customers nervous - and it is important that this does not lead to any loss of confidence in bank security," he said. "In reality, consumers should have little to fear, as banks are still liable for any fraud unless they can prove that a customer was negligent. So if this technology does lead to any increase in fraud, it will be the banks that have to pick up the bill, and not customers."